The prom dress is one of the most important aspects of any prom. Most young girls will agree that you only have one chance (unless you’re lucky enough to be asked to someone else’s prom) to impress. 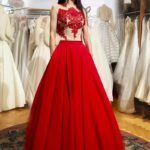 The prom has been the most anticipated day in a high school senior’s life; maybe a close second to graduation, so choosing the right dress is very important. The great thing about prom dress styles is that there are so many styles to choose from. Many of these girls can get inspiration form just about any runway, movie, magazine or celebrity. Even though this is the prom and you will do just about anything to have the most impressive dress at the event, you still need to choose a dress that suits your body type. If you are short, a knee-length prom dress can do you justice while taller slim girls look great in long or short dresses. Luckily, there is an array of popular dresses, so the majority of girls find something more than suitable. Bright colors and patterns are very popular amongst teens but many still prefer softer pastel tones. Strapless dresses look good with any body type, but a halter neck can also be very beautiful. Slits were very stylish in the early 1990’s, but today have fallen out of favor, and this is a style that should be avoided. Great prom dress ideas can also be taken from motion pictures. While seeing a dress on one of your favorite celebrities, you should really be able to see if you like the style of the dress or not. The majority of dresses seen on screen can be found in stores, so the need to hire a dressmaker to recreate these designs is not necessary. “High School Musical” is one of today’s most popular films among teens. Not only does its catchy music have us singing along, but the films adorable stars have caught our attention. With “High School Musical 3’s” theme being based on a prom, the prom dress designs from the movie have inspired many prom goes and has become one of the most popular prom dress styles requested. The actresses in the movie are known for their knee length dresses with some of the freshest colors out there. They come with or without straps and flare out from the waist. Cute and adorable they complement most body types. Who could forget Kate Hudson in her yellow long satin dress in “How to Lose a Guy in 10 Days” or Rachel Leigh Cook’s prom dress in “She’s All That.” But it is not always the celebrities on screen dresses that have young teens copying their styles. The majority of prom dress styles and inspirations are taken from what movie stars are wearing on the red carpet. 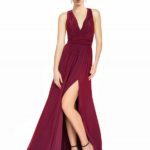 With the most popular design on the red carpet being evening gowns, many young ladies are opting for long, body hugging satin dresses with diamante embellishments or the classic Cinderella dresses that flare out. These dresses do have beautiful designs and show maturity and sophistication. Many high school aged girls these days are wearing prom dresses that are far too revealing. Attached to the body with double-sided tape and exposing just about every piece of skin on your body is a look for our tinsel town daredevils and is not really appropriate for a prom. Not only do some of these dresses look trashy, many of them are almost impossible to keep together. Chances are you will spend the evening making sure you don’t lose your dress altogether. From the Runway to the Magazines to…You? Choosing to recreate a dress off the runway for your prom can be very daring. Although you will be sure to have the latest trends it is not always a good idea. Most runway dresses are very bold and some can look like nothing you’ve ever seen before. When deciding to go this route, make sure you choose something that is wearable and will not get a lot of bad stares. A very simple dress can really bring out your beauty. You want to be remembered for how great you looked, not how ridiculous. Magazines are also a great place to get ideas for a prom dress. Some of the most popular dress styles are taken from fashion magazines such as Vogue, Seventeen Magazine and Elle. They will usually display designs that are trendy at the moment, will be trendy very soon, or possibly retro styles that are still in. You will also get an idea of what not to wear. Even supermodels can look bad in some dresses.